And indeed, it embodies the spirit of BIG BANG. 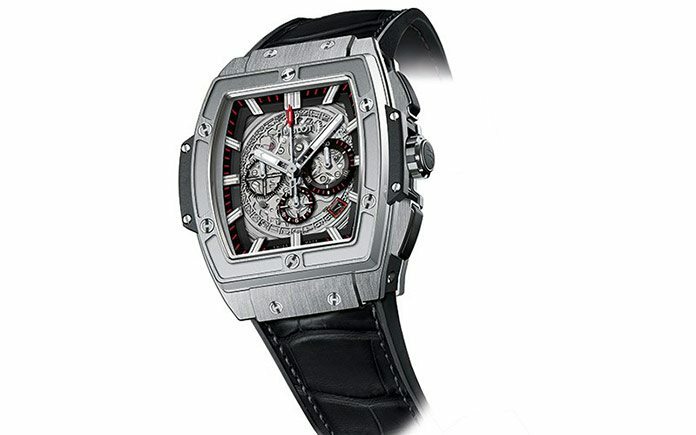 It features the BIG BANG codes with its 6 H-shaped titanium screws through the watch bezel, the lugs on either side, the two strap attachments, Hublot’s famous hands and the SuperLuminova™-filled baton indices offering superb legibility, and the overmoulded rubber screw-down crown with the iconic letter H adorning its profile. Here we find Hublot’s pure DNA, but in a different, brand new form. 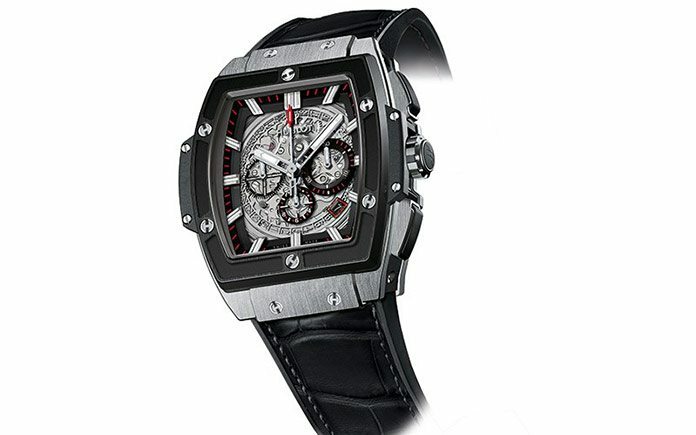 This is the aptly named SPIRIT OF BIG BANG: Hublot has unveiled a brand-new BIG BANG with a tonneau case. Hublot Spirit of Big Bang features a date window positioned at 4.30, a central chrono seconds hand and three timers at 9 o’clock (seconds), at 3 o’clock (30 minutes) and a small one at 6 o’clock (hours); the whole piece is completed by an alligator strap stitched onto rubber for comfort, flexibility and improved durability. The timepiece is available in black or brown, depending on the version (there are 4 different versions in total). The watch is water resistant to 100 metres. In short, this is a timepiece with a new shape and a new movement, but it is still 100% true to its Hublot DNA.